A full program of college preparatory subjects is offered at Linsly. All current freshmen through junior students must carry a 5 1/2 credit course load (excluding P.E.). Note: Only those credits earned in grades 9-12 may be counted towards graduation. 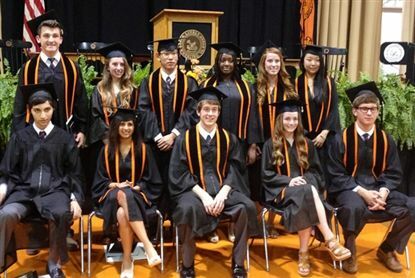 Note: To be eligible for Valedictorian, a senior must have completed a minimum of three years at Linsly.